Can holding a job and studying for a degree mix? At the University of Michigan, students strike a successful balance via Student Life jobs across campus. Each year, Student Life employs more than 4,000 students in positions ranging from dining staff to retail associates at a diversity of locations. Positions offer competitive pay, flexible schedules and resume-building skills. 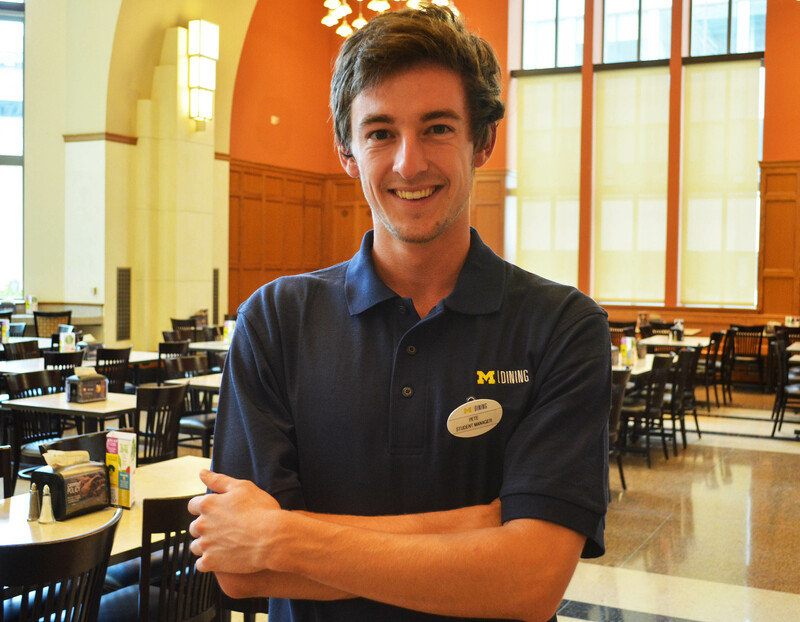 Pete Forhan, a junior studying material science engineering, is a student manager for Michigan Dining at the North Quad residence hall. With more than 2000 jobs each term, MDining is the largest student employer at the university. Forhan has worked his way up from dining service worker over the past two years, and says the skills he has learned are invaluable. "It’s fantastic. I work where I live and it’s a great opportunity to build career skills that translate into my future profession." "It is helping us translate what we learn and develop as skills on the job to what we can offer our future employers. For example, I am studying to be an engineer. Working in dining requires teamwork and that’s an important skill in the engineering field. I also will need to be able to think on my feet as an engineer when problems arise -- I’ve been able to develop that proactive, critical thinking mindset as a student manager." Forhan, who graduated from West Bloomfield High School in Michigan says the key to balancing coursework with employment is the flexibility U-M offers. "They put education first. If you have exams, or need to take time off to complete a project, there is never a problem. Students, and the education we are here to receive, are always the priority." "I get to eat all I want, and the food is fantastic!" For more information on Student Life Jobs, visit https://jobs.studentlife.umich.edu.